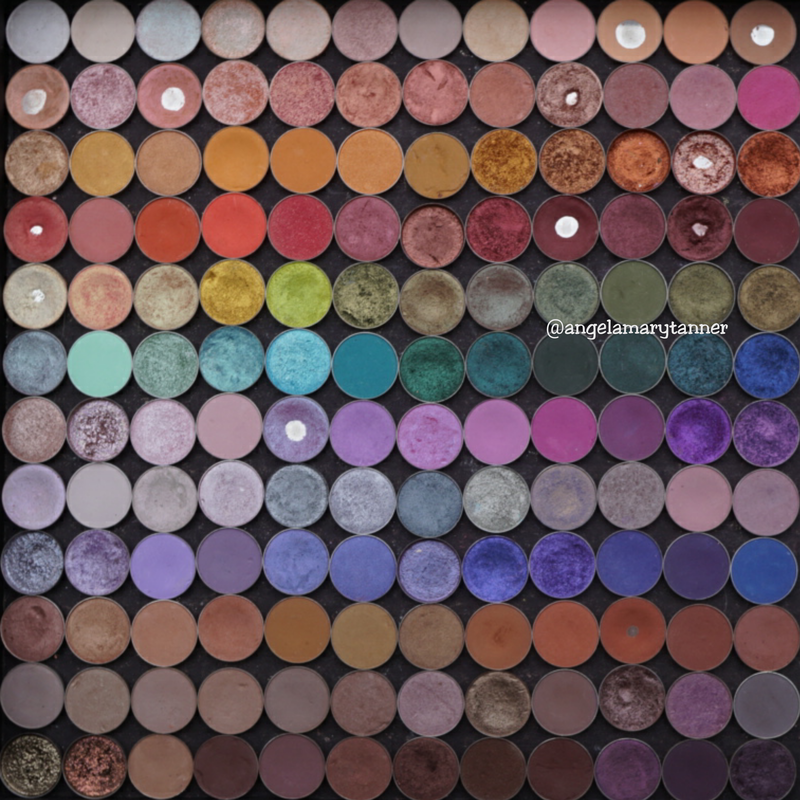 Makeup geek eyeshadows are $6 each excepted for the foiled shadows which are $10. They come in 26mm magnetic pans and have 1.8g/ .064oz of product. This is my entire collection minus three that I left so that the pic would be an even square. The ones marked with* are pigments or sparklers that I pressed. 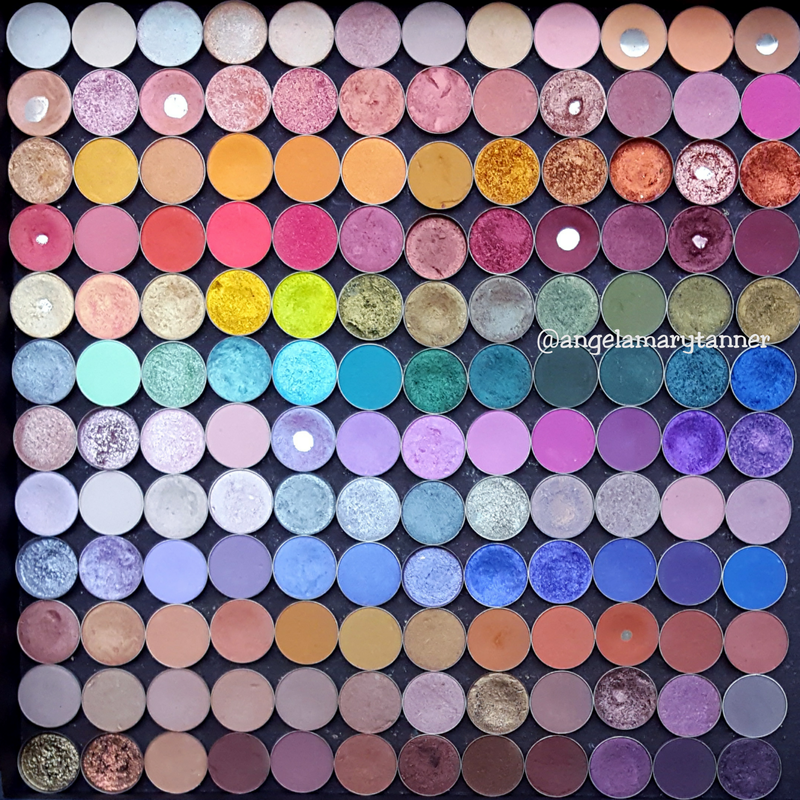 I think Makeup Geek has about 20 other eyeshadows that aren’t pictured. this looks like a dream!! It worked it great for me. 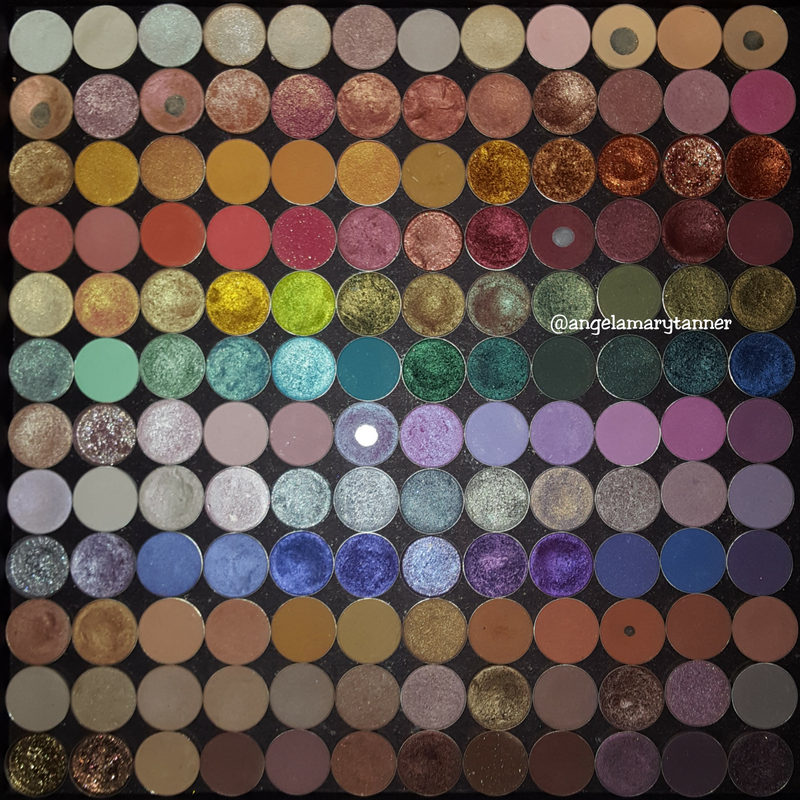 They’re pretty similar to pigments because of how finely milled they are and it’s nice because you don’t need a glitter glue when they’re pressed.